Price isn’t everything when it comes to motorbikes however that does seem to be the case with the Direct Bikes Sports scooter. 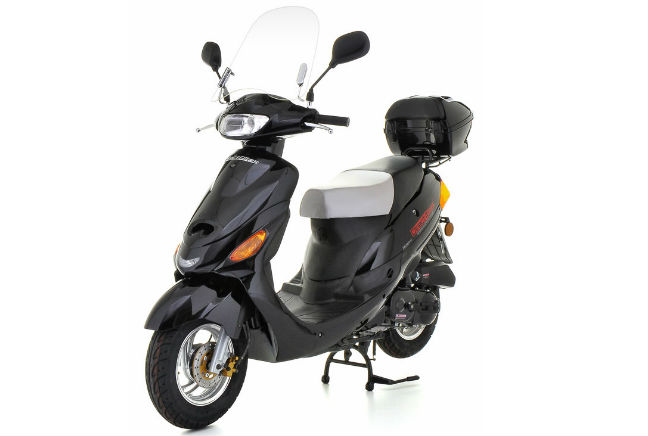 The 50cc model is one of the cheapest on the market and as such, it’s proved a hit with new riders and learners since it was first introduced last year. At £499 you can’t expect too much bang for your buck but the Direct Bikes Sports is an affordable and easy way into riding for those new on the road. It must be doing something right as in 2014 it’s been the fifth most commonly inquired about model on The Bike Insurer.